Sheridan Coakley, owner of the London-based furnishings purveyor SCP, uses his circa-1970s home as a testing ground for the furnishings he carries in his company’s inventory. An eclectic mix of furniture keep the retro brick building from feeling too dated. This historic mid-century Spokane home features interior materials often used in exterior applications. The redbrick floor matches an outdoor terrace. In this Montreal renovation, interior designer Anne Sophie Goneau highlighted the redbrick wall in the living room by leaving it bare and protecting it behind museum-quality glass. The green sofa is by St-Laurent Domison and the white oak chairs are by Hans Wegner. All other furniture is custom. 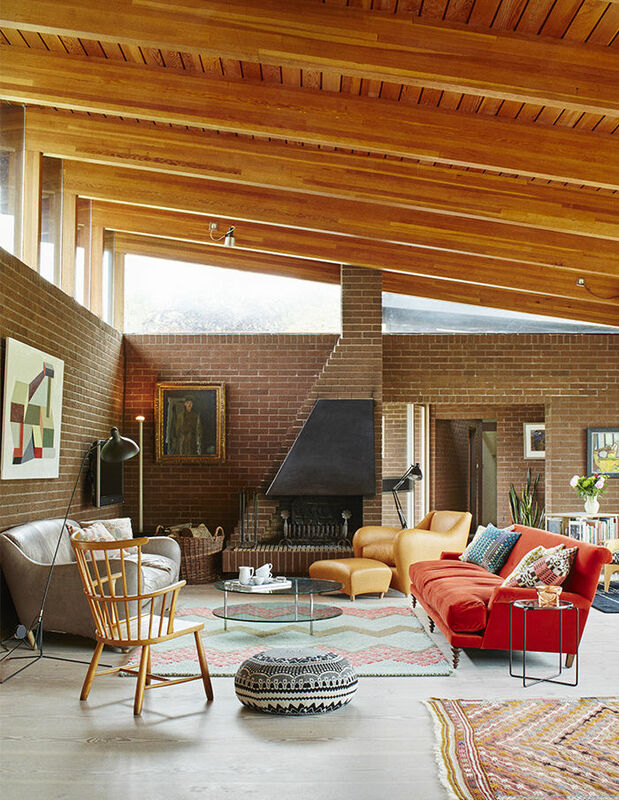 In Melbourne, Australia, architect Delia Teschendorff created a brick house when her client requested something that would fit in with its industrial environment. Interior courtyards further integrate notions of indoor and outdoor. In this converted live/work space in Geneva, New York, mottled brick recalls its past as a factory. In the bathroom, the original bricks contrast with mismatched seconds of Carrara tile.